They say smell triggers memories, so why not create some new memories this winter with Lush. My morning shower is something I look forward to and dread with equal measure. I love getting all soapy in the morning but if I’m in the shower that means I’m not snuggled up in bed anymore…you see my dilemma right? So in order to make winter mornings enjoyable and not just bearable I’ve decided to fill my mornings choc full of scents that make me happy, luckily they do a pretty awesome job at taking care of my crazy sensitive skin too. 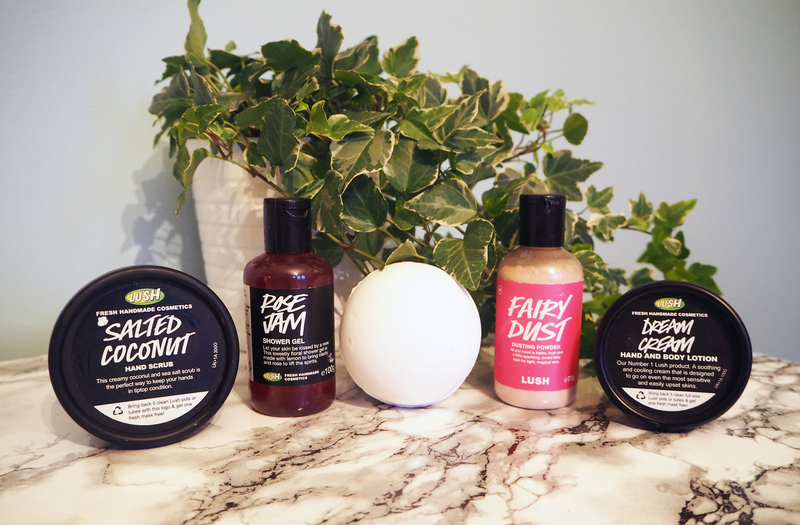 Rose Jam is one of my favourite Lush scents, luckily it comes in a shower gel & bubble bar so can have a full pamper night/morning/afternoon of rose jam goodness. So White has to be my new favourite bath bomb. Based on that classic Disney movie (frozen can do one) it’s moisturising, smells divine and it turns pink! What more could you ask for? Now we all love snow fairy, when the last bottle runs out it’s misery until it’s released again. Well no more, or at least there’s something else to mourn when you run out of it, this little bottle is basically snow fairy perfume in dust form, so buy three bottles just so you have enough. Oh and did I mention it’s glittery?! Dream cream should be on everyones top list at all times, this baby is nourishing and is full of skin calming ingredients. Originally made for those with eczema it’s perfect for soothing sensitive skin in the winter.